CMOS Image Sensors allow constant Full 1080p HD resolution recording during both daytime and nighttime. With a 1080p Full HD camera, the THINKWARE Dash Cam F100 is able to record bright and clear videos that capture the crucial details of any incidents. Recording at 30 frames per second without dropping a single frame, you can rely on the F100 to capture every moment of your commute in high definition – be it an incident or an unexpected hit-and-run. 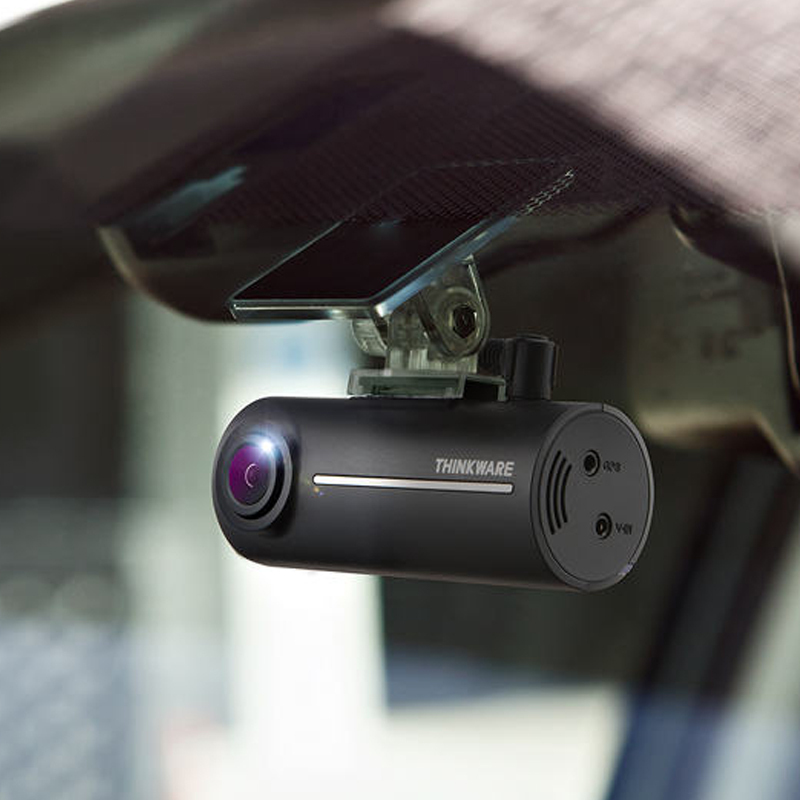 Now you can save the hassle of manually clearing memory space when using the THINKWARE Dash Cam F100. The THINKWARE Dash Cam F100 not only acts as a reliable eyewitness in the case of an incident, it is also your best protection against insurance frauds and road. Through PC or Mac viewer, you can playback rear and front videos, and download recorded videos with information on your driving history and speed. With just a few clicks on the viewer, you can change the dash cam setting, format the memory card or update the firmware. Use the 3M tape to easily mount the Dash Cam. The rear camera can rotate up to 360 degrees and easily be installed, regardless of the vehicle model or interior items (indoor curtains, etc. ).